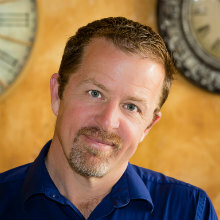 Barney Treadway has created and managed restaurants and other small businesses for the past twenty years. A perennial bootstrapper, he's done everything from layout and design, concept design, construction oversight, daily operations, keeping the books, writing custom software, purchasing, pricing, and more. His deep and ongoing ties to the restaurant industry provide a natural symbiosis with the ongoing growth and evolution of Wine Education Institute. Barney's passion is clearly wine from the ethereal subtlety of its myriad of flavors to its ten thousand years of history. It's a passion that can never be sated due to its sheer scope. When asked what a sommelier job is, he replies "a sommelier's job is simply to expediently help a wine lover find a wine that overdelivers on expectations of flavor and value according to their own palate." Western Washington University. Minor in Anthropology. ● WSET Wine & Spirits Level 3 with Distinction. ● Certified Senior Wine Instructor, International Wine Guild, Fall 2008. ● Certified Executive Sommelier, International Wine Guild, Spring 2008. ● Member Court of Master Sommeliers.